Since the industrial revolution – and arguably earlier – collecting and effectively analyzing data has been perhaps the greatest competitive advantage many of the most successful companies have had over their peers. Look at the most successful companies over the past century and you may not at first realize it, but behind most of them is a story of making better decisions and running more profitable operations through better use of data than their competition. Stories of some of these great successes and the famous and not-so-famous characters behind them shed light on how they came to use data analysis as a competitive weapon. In one case, the tool was believed to provide such an advantage that the company forbid the individual who developed it from publishing under his real name or employer for fear the other brewers would realize how to apply it. Another – one of the biggest, most profitable companies on earth today – entered a crowded market with no distinguishing feature whatsoever except for better prediction. These and others provide examples of how critical it is to not just use data, but to use it more effectively than your peers to truly achieve excellence. Despite this, today we take for granted that data-driven decision making is an effective tool, and in many ways, we have lost our way in process improvement. We often take the easy path and let our initiatives drift toward traditional business methods that provide us no advantage in the market. Worse, in some cases we actively complain about statistics and tell ourselves that they are useless! Joel SmithDirector of Continuous Improvement and a Master Black Belt with Keurig Dr Pepper Inc.
Joel Smith is Director of Continuous Improvement and a Master Black Belt with Keurig Dr Pepper Inc., where he leads teams to pursue excellence through customer-focused, data-driven decision-making. 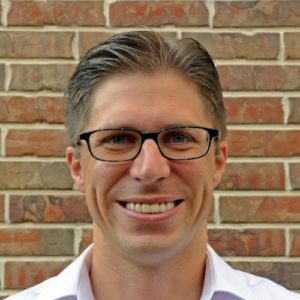 Prior to joining the company in 2016, he spent over a decade with Minitab Inc. in a variety roles where he trained and advised numerous improvement professionals in addition to regular speaking engagements. He co-authored the Applied Statistics Manual and writes the Random Thoughts column for Six Sigma Forum magazine. Joel has twice chaired the Lean and Six Sigma World Conference and has chaired the ASQ Statistics Division in addition to currently chairing ASQ’s Hunter Award committee. He graduated with a bachelor’s degree in chemical engineering from Rose-Hulman Institute of Technology and a master’s degree in statistics from Virginia Tech. He currently resides in Prosper, Texas with his wife Silvana and their two children.